Welcome back Dynasty Nerds hope everyone had a great Thanksgiving. We are back for another week of What We Learned and excited as the fantasy playoffs inch closer and closer. As you all know the goal of this article is to break down the dynasty landscape from the week before. In doing that there are many stats or talking points I think we should all know. I’ll do my best to keep this going through week 17. As a dynasty owner, you need to always be watching and studying to get the biggest advantage you can on your league mates. Hope everyone enjoys this weeks article and continues that drive to bring home those dynasty championships this season. 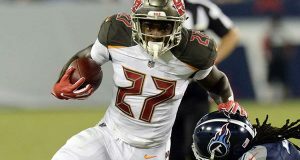 The RB report this week will focus on three RBs I feel have the potential to creep into the RB1 conversation with strong performances in the next few weeks. Adrian Peterson – Now A.P already having played his game on Thanksgiving and not doing particularly well could have been left off this list. Peterson should see more touches if he can stay on the field to close out the season after the Alex Smith injury last week. A.P. had 16 touches in six straight games before only receiving 14 touches on Thursday. The YPC average has been roughly around three yards mostly having to do with the Redskins losing three starters on the offensive line. The Redskins defense has been good enough to keep them in games with very little production coming from their WRs look for Peterson to be force fed the remaining games of the season. Tevin Coleman – One of the more frustrating backs in dynasty this year. Coleman looked to be in line for a huge role when Devonta Freeman was finally sent to I.R earlier this season that hasn’t been the case. Tevin Coleman is averaging 13 touches per game for the high scoring Falcons offense. In those touches, Coleman is surely making the most of them averaging seven yards per touch and 5.6 yards per carry. Ito Smith once again held to single-digit touches in week 11 just shows Atlanta’s refusal to run the football. Atlanta ranks 31st in the NFL in percentage of run plays at 33%. Coleman scored on Thanksgiving night and should be fed more down the stretch as the Falcons playoff chances were all but ended this week. Nick Chubb – Chubb has been very productive since taking over as the starting RB for the Browns. Since becoming the starter Chubb only trails Kareem Hunt with runs of 10 yards or more, Hunt has 14 to Chubb’s 13. Nick Chubb becomes the first RB since Adrian Peterson to score three rushing touchdowns of 40 or more yards. Chubb has been fun to watch with his vision and explosiveness. Chubb is in the conversation for leading rusher among rookie RBs while not playing barely at all the first three weeks. The Browns have rewarded Chubb with over 18 touches in every game since he took over as the starter there are only good things to come for Chubb. Cam Newton has 9 straight games with 2+ touchdown passes. George Kittle leads the NFL in % of teams receiving yards at 31%. Jarvis Landry with 10+ targets in all but three games. Tom Brady has 5 TD in last 5 games first time since the beginning of 2014 season. David Johnson 100+ scrimmage yards in three straight games. Andrew Luck extended his streak to seven straight games of 3+ TD passes. Stefon Diggs has 44 targets in his last three games played. DaVante Adams, either 100+ yards or a touchdown has now happened in 73% of games with Aaron Rodgers. James White leads all NFL RBs in targets, receptions and receiving yards. This was a quick breakdown I like to do every year. This is just a few takeaways from the point differential across the different positions so far. All my points are based on full PPR scoring as most of us use over at Dynastynerds.com. 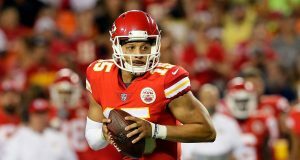 QB – No surprise here that Patrick Mahomes is the QB1 in dynasty. Roughly 112 points separate QB1 to QB12 through eleven weeks. The top 8 QBs all have 200 points or more. The top 2 QBs have yet to take a bye that will happen this week. The race for overall QB1 should become very close in the final few weeks of the season. I’ll revisit this again at seasons end. RB – Todd Gurley has had a stranglehold on RB1 all season as he heads to the bye this week that’s unlikely to change. Gurley’s streak of games with a touchdown has ended but his nearly 300 fantasy points are at least thirty points ahead of the next closest RB. 152 points separate the RB1 from the RB12 and 36 points separate RB9 to RB10. The Top 9 RBs are clearly ahead of the rest of the league as all nine have 200+ fantasy points. The back half of the RB1’s this season will be changing constantly for the last quarter of the season. WR – Tyreek Hill is your WR1 there’s not a person alive that could have predicted that in the preseason. In the lowest point differential across the four positions, WR1 and WR12 are separated by only 72 points. The top 7 WRs all have over 200 fantasy points. Although WR8 and WR16 are only separated by 36 points. WR is very cluttered and predicting who will stay or go and finish as the top 12 this year is anyone’s guess. TE – I’ve preached all season long how bad the TEs have been this year. Travis Kelce has taken over as the TE1 after his big game on Monday Night. TE1 and TE12 are separated by 116 fantasy points after week 11. There are only nine TEs over 100 fantasy points while TE10 to TE24 are only separated by 33 fantasy points. TE has been so bad this year with multiple injuries inside the top 9 currently who knows how this shakes out after week 17. Can You Win Without Your Studs? Interesting thought I had as many of the studs really let down owners last week. My thought process was on many championship teams you have to be able to win when your studs have an off game. 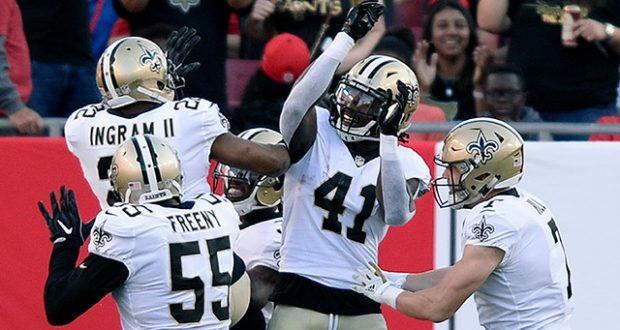 Now you need these players to get to the playoffs and they are relied upon but if they have an off week you need to be able to survive and pull out ugly wins. Todd Gurley – TGIII has scored in every game this season and hasn’t been outside the RB12 in what seems like two years. Gurley let his owners down in week 11 with under 12 points. Gurley is averaging 27 fantasy points per game. Zach Ertz – a Huge letdown for Ertz in week 11. Ertz is still on pace to break NFL records for TEs. Ertz in a tough matchup simply didn’t show up as most of the Eagles offense also didn’t. Ertz three fantasy points were by far his lowest of the season as he averages 18.7 per game. Adam Thielen – Now Thielen wasn’t awful but his thirteen fantasy points were a let down for a guy who entered the week as the overall WR1. Thielen has seen both his 100+ yard game and touchdown streak end in the past few weeks. Thielen is averaging 23 fantasy points per game. James Conner – Conner who has made a majority of the dynasty community forget about LeV Bell has been cold the past two weeks. Conner’s 10 fantasy points last week were more of a game flow reason but regardless he didn’t produce. Conner averaging 23.4 fantasy points per game killed fantasy teams last week. Matt Ryan – We should all be used to being let down by Matty Ice at this point. Ryan averaging 23.2 fantasy points per game has three touchdowns and three turnovers the past eight quarters. Ryan still remains the QB4 overall but his production continues to spiral down. Jalen Richard – Season-high 11 carries last week. Richard who is stashed on many dynasty teams has turned in many startable performances as of late. Richard has been no worse than RB30 overall in any of his last six games. Doug Martin’s health may be in question going forward and the unpredictability of Jon Gruden seems to be trending upward for Richard’s snaps. Richard pass game usage makes him the most reliable RB on the Raiders roster. J. Moore – Moore had the best game of his young career last week against Detroit. Moore has 12/193/1 stat line in his last four games. While the injuries continue to hit the Panthers wide receivers Moore has stepped up with more playing time. The rookie wideout has seen four targets or more in six of his last seven games. Devin Funchess likely inactive in week 12 could be Moore’s big chance to take over as the WR1 for Carolina. 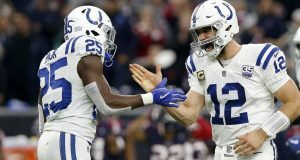 Marlon Mack – Once healthy and able to play Marlon Mack has been good. In two games against Buffalo and Oakland, he totaled over 250 yards and scored three touchdowns. Mack hasn’t been nearly as productive in his last two matchups which have been tougher divisional opponents but still has totaled 31 touches in those two games. Frank Reich has the Colts offense moving the ball regardless of who is running the ball but in my opinion, Mack is the best RB on the roster. Looking forward to Mack sneaking up on many owners and being a league winner this year. Anthony Miller – The Bears passing game took a small step back with Mitchell Trubisky missing the Thanksgiving game. Prior to week 12, Miller has been a WR3 or better in four straight games. Miller is dynamic and exciting on the football field although he plays in a loaded WR core he has stood out over the past month. I think it’s very possible Anthony Miller ends up with a higher ADP than Allen Robinson before the 2019 season begins. Josh Adams – I’m not sure you guys understand how much it hurts me to talk up a Notre Dame player. Adams has burst onto the dynasty scene late with the Eagles. 55% of snaps last week on a team that used four RBs for the majority of the season last year is refreshing. Adams likely loses some of his pass game work if and when Darren Sproles returns but he should stay as the primary RB. Adams can be a touchdown machine for this offense like Blount was a year ago if the Eagles offense starts rolling again.